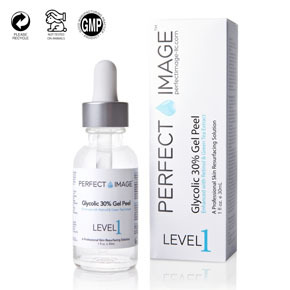 The Best Glycolic Acid Peel At Home – The Ultimate Review & Guide: Treatment for Acne, acne scars, post-inflammatory hyperpigmentation, dull skin texture, fine lines, sun damage, melasma. Can you imagine instant, baby-smooth skin without breaking the bank? Glycolic acid peels are amongst the most popular type of chemical peels used by dermatologists worldwide that is easy to replicate at home. This it is a simple and inexpensive procedure that addresses a host of skincare issues like mild to moderate inflamed acne, acne scars, post-inflammatory hyperpigmentation (acne spots), melasma, dull skin texture, and sun damage among a host of others. 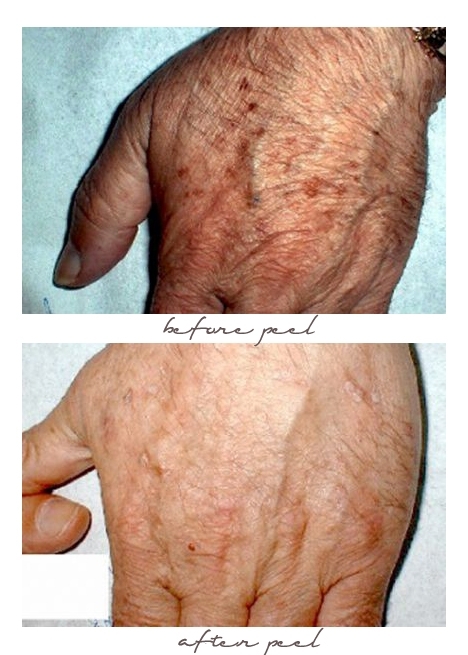 Another great advantage of glycolic peels is there is virtually no downtime, unlike other types of chemical peels. It also has keratolytic, anti-inflammatory, and anti-oxidant effects. 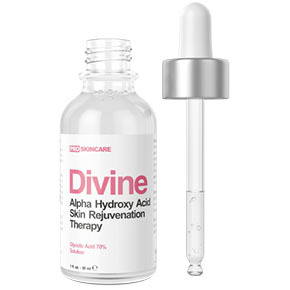 Glycolic acid has the smallest molecular weight amongst AHAs which makes for easy penetration to the skin. Products are available in varying concentrations and used depending on the skin type and tolerance. The higher the concentration and lower the pH, the deeper and more intense the peel. The depth of chemical peels depends on the concentration, number of coats, and length of time it stays on the skin before it’s neutralized. 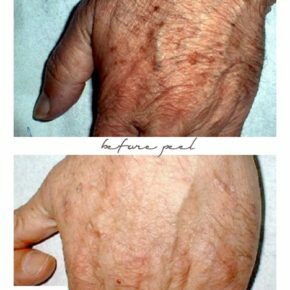 This is why AHA peels can be used for superficial and medium depth peels. A combination of treatments with best glycolic acid peels can also be done for faster and improved results. For instance, if you’re looking to get rid of acne scarring, you can use glycolic peels in combination with microdermabrasion. 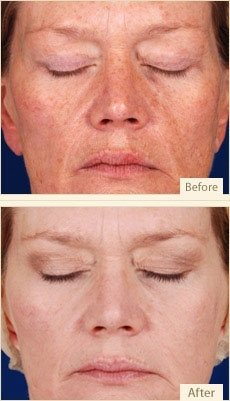 Chemical peels vary in type and strength. Your skin sensitivity or tolerance to acids – This will determine what % or concentration you should choose. Glycolic peels are generally safe for all skin types with oily skin being the most resistant of all. Some people also have built resistance by having various forms of acids already in their skincare regimen. If you’re new to peeling, it’s best to start with the lowest concentration possible so you can avoid skin irritations. You can patch test a product before going all out as a precaution if you have sensitive skin. The list below is in ascending order or the lowest % to highest % for easier assessment. Check your skin for scaly patches, any open sores, or lesions – Glycolic acid or tretinoin creams can exacerbate these issues. You’ll need to be well healed before performing any type of chemical peel. What skin problems you’re looking to address (dull skin, pigmentation, etc.) – This will determine the necessary depth and frequency of treatments. Repeat the peeling session every 15 days for 4-6 months until desired results. If you’re looking to correct imperfections that are deeper in the skin like melasma or acne scars, a series of medium to deep peels would be very beneficial. Alternatively, you can undergo a more thorough program like The Skin Lightening Report. It’s a regimen that can be modified based on your current skin condition and how your skin reacts. This ensures that you can achieve maximum lightening with minimum skin irritation. You can prime your skin for increased peel efficacy – Using retinol or retinoids and skincare products with Vitamin C or hydroquinone before the peel can improve results and reduce the risk of hyperpigmentation (discoloration). Understand the proper procedures – Using the right acid concentration, knowing the peel timing, performing pre-peel priming, neutralization, and having the proper peeling equipment will ensure great results and no potential side effects. The video below demonstrates that proper clinical procedure in implementing glycolic acid peels. Make sure to watch and understand, as well as read the instructions that come with the product you purchase. If there is frosting at any time before the set time limit, neutralize the skin immediately. Always start with the lowest concentration and work your way up once your skin has acclimated to the % concentration. We’ve chosen the best glycolic acid peels at home for every available % concentration based on our analysis, experience, specifications, value for money, and consumer reviews. The list goes up in concentration as it goes on. If this is your first time incorporating acids in your regime, it’s best to start with a low percentage and work your way up. The list of products below below starts from the mildest concentration to the highest. Easy and convenient, this package comes with individual pads so there’s less room for mistakes. This is a perfect starting point for beginners. It gently exfoliates the skin, sloughs off dry skin, excess oil, and other residues from the skin. Overall this targets uneven skin texture and tone, large pores, acne, excess oil, fine lines, and wrinkles. This is something that you can treat yourself with to a more regular basis as part of your skin maintenance and prep the skin for other topical treatments. Available in 10%, 15% and 20% strengths. This is a moderately strong solution that has retinol or vitamin A, which is a proven anti-aging ingredient because of its ability to induce younger and healthier skin cells. It also has chamomile and green tea extracts that act as an anti-inflammatory and anti-bacterial agent. 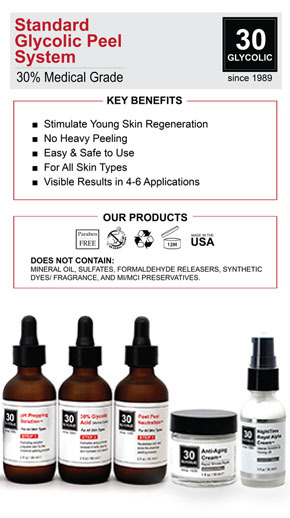 There are glowing reviews for this product from those who have suffered from adult acne. With continuous use, red bumps, large pores, and fine lines have reportedly decreased. But again, just as with any peel, if this is your first time and would like to opt for a stronger solution than the starting 10%, make sure you prepare by having all the necessary tools on hand and read the accompanying instructions carefully. Gluten Free. No Parabens, Sulfates, or Phthalates. Sustainable Raw Materials & Practices. This is a powerful solution that aimed for more problematic skin issues like deeper lines, acne scarring, and moderate sun damage. Retinol (Vitamin A) has been proven to reduce fine lines, wrinkles, and promote collagen to help rejuvenate the skin and even out skin tone. Green tea with cucumber extract is a synergistic combination that provides anti-inflammatory, anti-bacterial, and antioxidant benefits to the skin. Even if you have prior experience with chemical peeling, make sure you thoroughly read how to use this product properly. This should come with a pamphlet that is detailed and very informative about pre- and post-treatment, contraindications, etc. to make sure you achieve the best results it can offer. Cruelty-Free – No Animal Testing on Products or Ingredients. Recycled Materials – Sustainable Raw Materials & Practices. A 70% solution is the highest you can go without a prescription. If used correctly, and the results will be phenomenal. This is the type of chemical peels that one would pay top dollar to an aesthetician for. 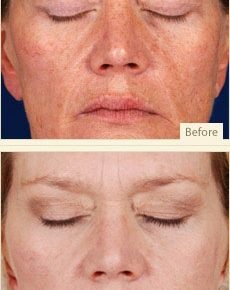 Fine lines can completely disappear, as well as age spots, hyperpigmentation, and dilated pores. Professional grade. Cruelty-free, Vegan-friendly, and fragrance-free. When you buy your first bottle of chemical peeling agent, you’ll need to purchase other tools as well, like a brush applicator and a neutralizing agent among others. You can save yourself the trouble and reduce any chances of buying the wrong one by getting a complete set instead. 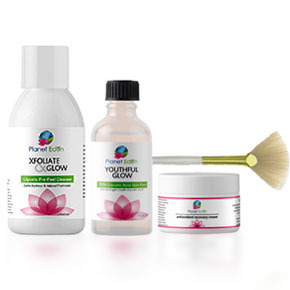 This set is a simple solution to anyone wanting to try chemical peeling but is lost as to where to start. It has all you need from prepping cleansers to fan brushes. It comes in pre-moistened pads so you’ll never go wrong with the amount of solution you’ll use. The set is enough for 8 peels, which makes it less than $10 per session. This is good for a two month supply but can last longer if used over longer periods of time. Safe & proven brand with over 27 years of servicing dermatologists and spas. This professional strength glycolic acid is to minimize oil production, acne breakouts, scars, redness and inflammation; all while improving your skin’s tone and texture. It also stimulates collagen production and moisture retention. You can see the same results done by professionals by using the same products AND save money in the long run. Peels at spas & dermatologist that uses this brand can run from $100 to $500 PER SESSION. 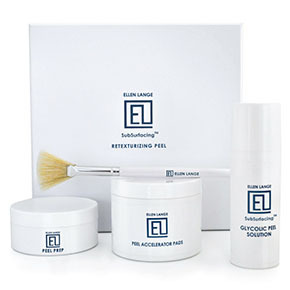 This kit offers great value as it’s good for an estimate 10-15 facial peels, with each peel clocking at just roughly $7.50. You should see a difference after 4-6 applications when used regularly. Just keep in mind that this is NOT a one-time solution but a long-term skin regimen for consistent, younger-looking skin. Please be patient. LIGHT (30% Glycolic acid) – for those looking to peel away blemishes and reveal healthy skin. Use to get rid of age spots, fine lines, and for acne-prone skin. No downtime or heavy peeling. MEDIUM (40% Glycolic acid) – For experienced peelers that would like to have faster results than those seen at 30%. DEEP (60% Glycolic acid) – For very seasoned peelers with damaged skin that you’re working to correct. The glycolic acid used are derived from natural cane sugar and supplemented with hyaluronic acid, aloe vera, green tea, chamomile, cucumber, grapefruit, and grapeseed to ensure a clean peeling session that hydrates and doesn’t overly dry the skin. This is 100% Vegan, Paraben-free, Cruelty-free, and doesn’t contain Sulfates, Synthetic Dyes/Fragrance, Mineral Oil, Formaldehyde Releasers, Alcohols, and MI/MCI Preservatives. It’s best not to second-guess your peeling process, especially when dealing with very strong concentrations. This package is great because it has everything you need in every step of the way, from cleansing to the recovery cream. The recovery cream, in particular, is formulated with over a dozen different antioxidants that help heal your skin after your peel. It provides anti-inflammatory protection and stimulates collagen. This is geared towards restoring skin elasticity and refined skin texture. This concentration is recommended for a whole host of skin issues like acne, enlarged pores, fine lines, sun damage, wrinkles, keratosis pilaris, age spots, melasma, freckles, hyperpigmentation, uneven skin tone, dry dull skin, and rosacea. You’ll notice an improvement as well in hydration and suppleness within a few uses, and see continuous improvement with regular use. That said, it is still a whopping 70% in strength so is recommended only for those who have experience with peeling and looking to correct damaged skin. Alam, M. (2003). 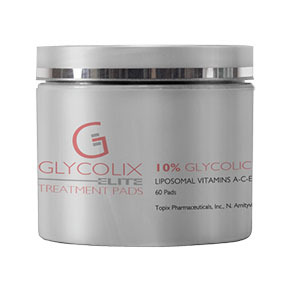 Glycolic Acid Peels. Archives of Dermatology, 139(9). Divinederriere.com. (2018). Well-made, effective skincare that does what it says it does. Ellenlange.com. (2018). Best at home glycolic skin peels, chemical peels, microdermabrasion. Myplaneteden.org. (2018). Chemical Skin Peels | Skin Peels | Glycolic Acid Peels | TCA Peels | Lactic Acid Skin Peels | Salicylic Acid Skin Peels | Professional Results for Home Use. Perić, S. (2012). Effects of Local Usage of Glycolic Acid in the Treatment of Acne. 1st ed. Saarbrücken: LAP LAMBERT Academic Publishing. Perfectimage.co. (2018). The Art of Skin Perfection – Perfect Image. Richards, S. (2008). Textbook OF Chemical Peels: Superficial, Medium and Deep Peels in Cosmetic Practice. Australasian Journal of Dermatology, 49(1), pp.63-64. Sharad, J. (2013). Glycolic acid peel therapy – a current review. Clinical, Cosmetic and Investigational Dermatology, p.281.